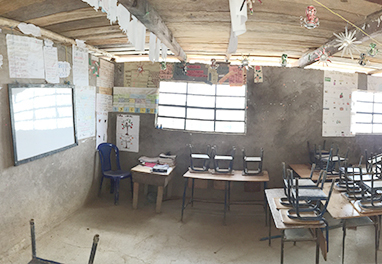 That all the children and teenagers from the village of Cocolá Grande and its neighboring communities have access to high school education. 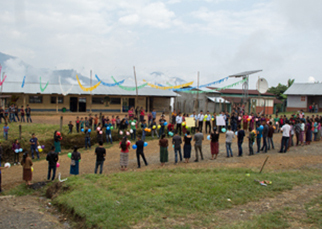 The Village of Cocolá Grande, uniting! The village is located in the Municipality of Santa Eulalia, of the Department of Huehuetenango, in Guatemala. Huehuetenango is the second biggest department/state in the country and has some of the poorest citizens in the rural area. Cocola Grande is located approximately 18 hours driving distance from Guatemala City. This community, aware of the gap that the lack of education creates and in the effort to close this gap for the current and future generations, in 2012, parents got once again organized and started the work in establishing the equivalent of middle school. The closest middle school was approximately 5 hrs walking distance from the village. Can only attend up to sixth grade, because they only have one elementary school. The next level of school was 5 hrs walking distance. Moreover, the families are not in a financial position that would allow them send their kids to school to other towns to continue their education. After three years of legal procedures to request a middle school, the community got the sponsorship and support of XumaK, a private Company, and initiated their middle school "Instituto de Estudios Básicos". From the first year of the school functioning to now, the students have kept a grade point average higher than 82. 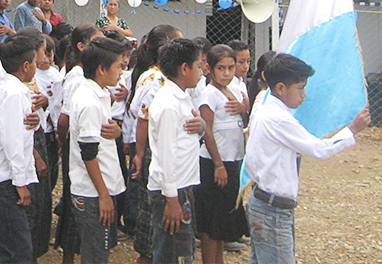 Their commitment in studying and taking advantage of the opportunity they had is a testament of the Guatemalan youth. 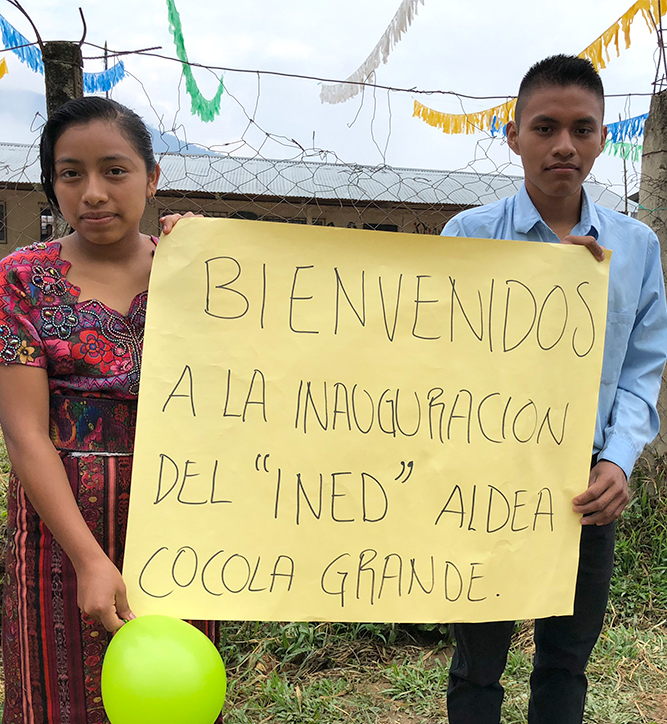 This same year, the community started to make the necessary arrangements to receive accreditation from the Instituto Nacional de Estudios de Diversificado, INED for a High School. In 2018, thanks to the continuous support of XumaK, the high school started to function with 8 students enrolled. The community is working to expand and recruit more students from surrounding villages. In 2018 the National Institute of Studies in Diversified (INED for the spanish abbreviation) was created in the village of Cocolá Grande, this being the first INED totally free in the entire municipality of Santa Eulalia. The open career was Accountant Expert with a emphasis on Community Development, which allows students to acquire the knowledge and skills of Expert Accountant as well as Developer of Community Projects. Nine students enrolled, of which eight completed the school year. Thanks to the donation of XumaK S.A., a computer lab was installed the past may, which is used by more than 250 children and young people who study in the school. We want to support the current high school in the community of Cocolá Grande, making a monthly donation to cover the salary of the four professor who teach in the first and second year of the career. As well as strengthening areas that allow improving the quality and academic experience these young people receive, such as a library, Internet access and computer tools. 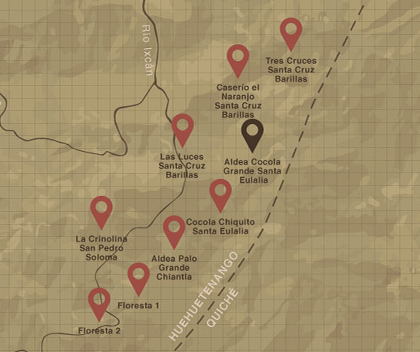 In the map shown below, the location of the eight neighboring communities of the Village of Cocolá Grande that will also be benefited by the implementation of these educational projects, is shown.